The official statistics are in from our Chief Scientist and the data looks good. 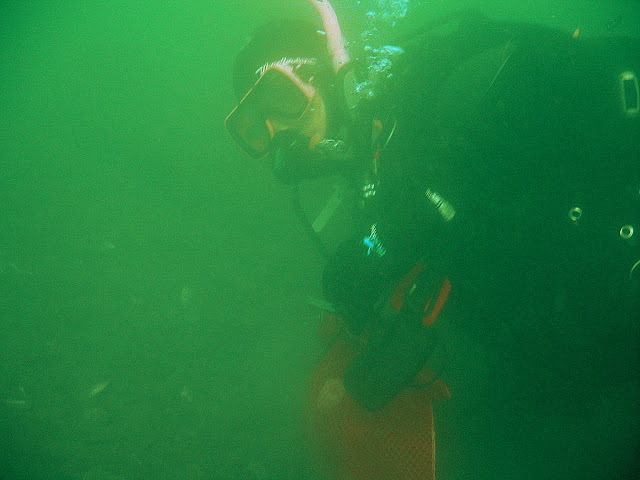 The divers pulled up four cages on May 2. All had survival above 94%. 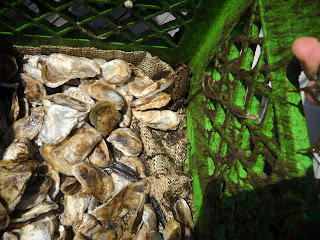 The oysters outside of the cages faired less well as there was predation. We even caught one Green Crab in the act! 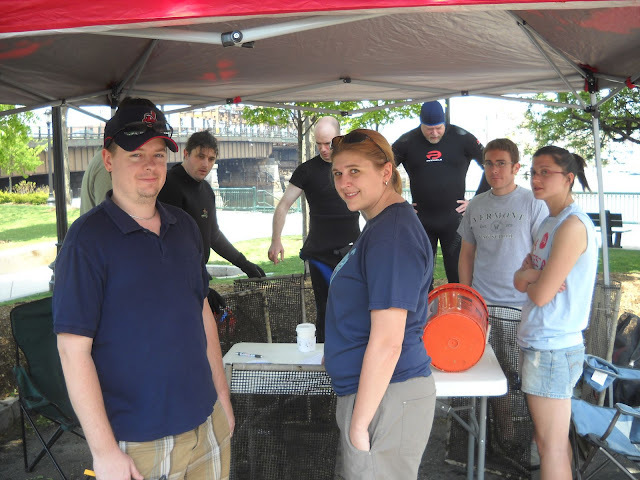 This weekend we will do a survey of Fort Point Channel. On Monday, I attended a presentation on "The Return of the Clam" at the Orient Heights Yacht Club that was sponsored by the Friends of the Belle Isle Marsh. 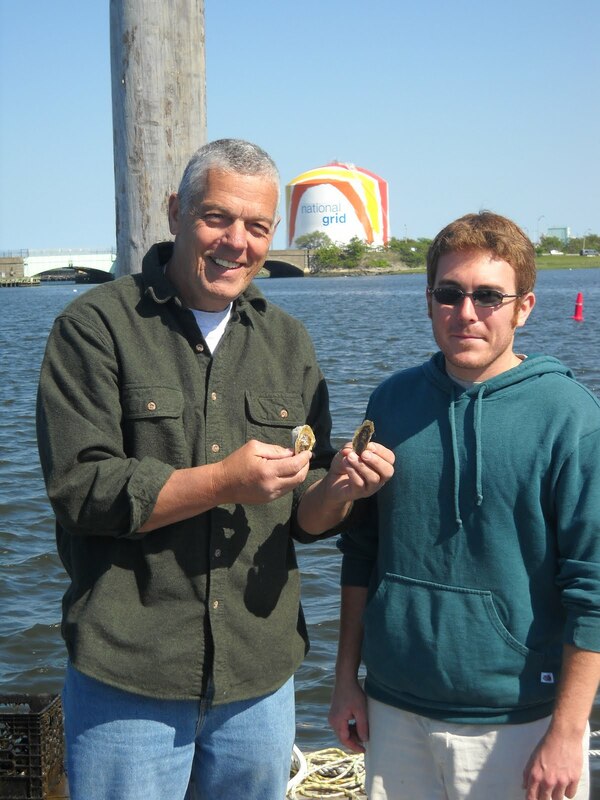 Dr. Joe Buttner of Salem State College and the Northeastern Massachusetts Aquaculture Center gave an excellent presentation talking about aquaculture and a shellfish farming project to restore Softshell Clams in Boston Harbor and coastal Massachusetts. 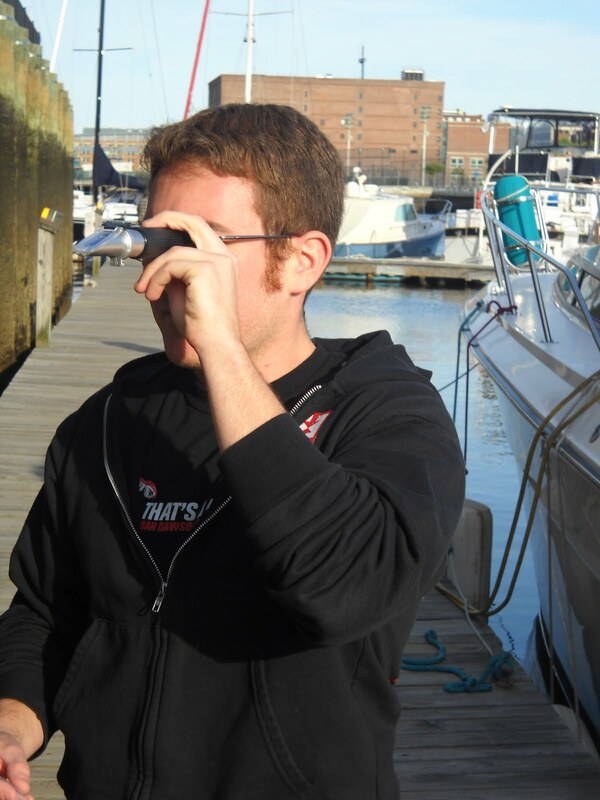 He showed how they stimulate clams to spawn and produce spat in their lab to later place them in tidal flats in Boston Harbor. 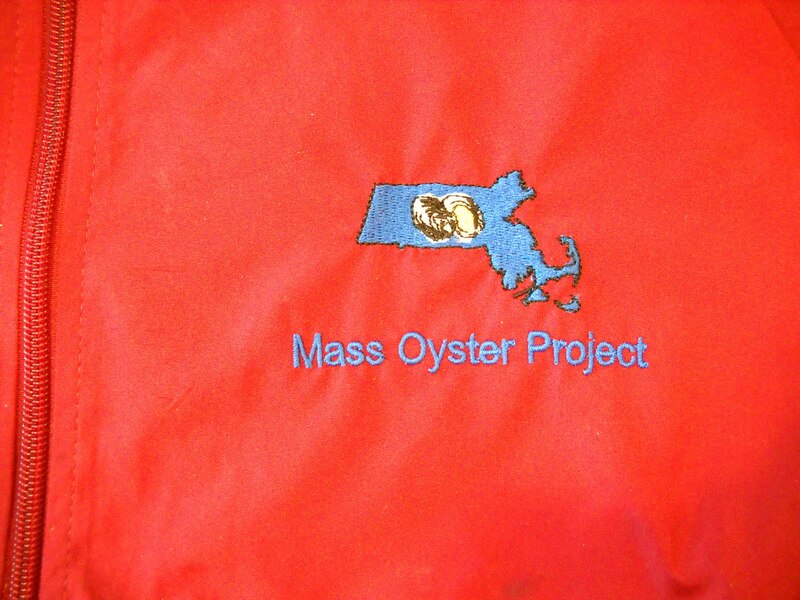 There were many parallels to the Massachusetts Oyster Project’s efforts to restoring oysters. They are now placing the clams below nets to prevent predation from Green Crabs. (This species is not native to this area, but arrived from Europe some ~50 years ago.) Like MOP, they have proven survival and growth. 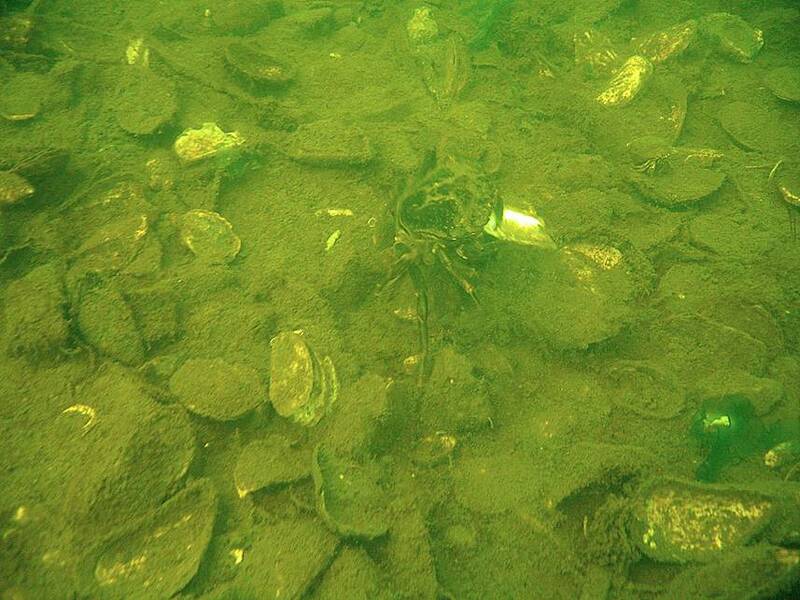 They also are working to generate data on reproduction to see if the placed clams are generating offspring. 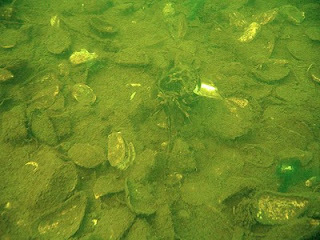 The steamed clams that are harvested from Boston Harbor are all sent to Newburyport for treatment so that they can be sold for consumption. Only steamers may be harvested. 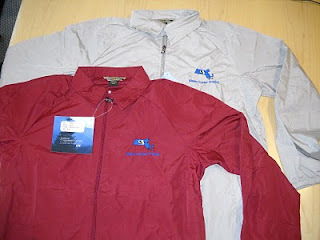 There was an older gentleman there who participated in an oral history project regarding Chelsea Creek conducted by the Chelsea Creek Action Group. He indicated that as part of that project he heard a man named Sal or Vinnie recount how his grandfather made his living harvesting oysters from Chelsea Creek. MOP unsuccessfully submitted a grant to the Boston Foundation to obtain funding for a pilot oyster program there. He has invited to take a few people out on a tour of the creek through the Belle Isle Marsh, so we will set up a date to do so. A young gentleman from the Massachusetts Division of Marine Fisheries (DMF) was also there and spoke very knowledgeably about the program. Chris is active in this program and may be reaching out to MOP when they need volunteers on the clam project. 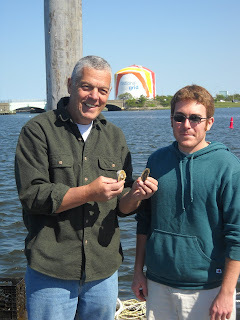 I also invited him to come along when we measure some of the oysters in cages.